I was first introduced to essential oils by a lady who had me babysit her son when I was in high school. I thought they were kind of mythical and unreal but she gave me some lavender, and I did like how it smelled. A few years later, we started selling them at the Hallmark store I worked at and then I really got hooked. I've been using them ever since. 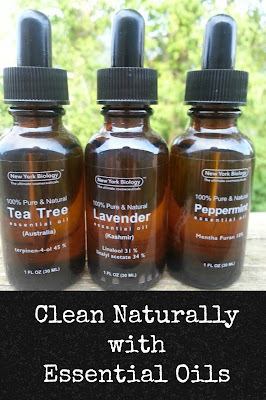 One of the easiest ways to get started using essential oils is in cleaning. You gotta do it anyway, why not cut out some of the toxic chemicals and go with something natural that smells good. One of the best oils to clean with is tea tree oil. Personally, it's not one of my favorite scents, but tea tree is a great antibacterial and antimicrobial which makes it awesome for cleaning in areas where you need germ killing powers, like in the bathroom or on kitchen counters. Fill an empty spray bottle about 1/2 to 2/3 full with water. Fill almost to the top with white vinegar. 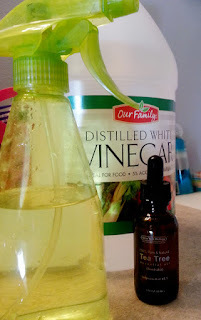 Then add about 10 drops of tea tree oil. Shake. And then spray where needed. 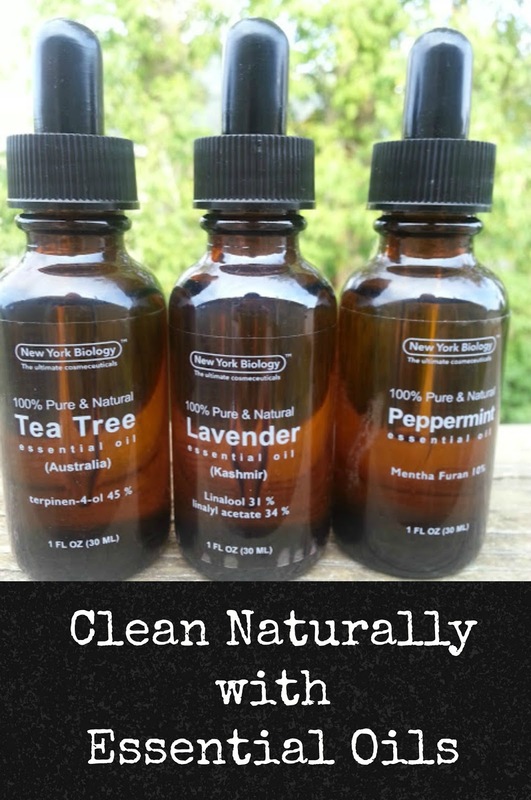 You can also add another essential oil if you have a smell preference. And that's all there is to it. If you're looking for a source for essential oils, I was recently introduced to New York Biology's. I like them because they are pure oils, and bonus- they even come with a handy dropper which gives you much better control over how many drops get dispensed. They're also very affordable. Right now on Amazon, you can get one ounce for $12.50. I received a free sample of New York Biology's tea tree oil in exchange for an honest review through Tomoson.. All opinions are my own.